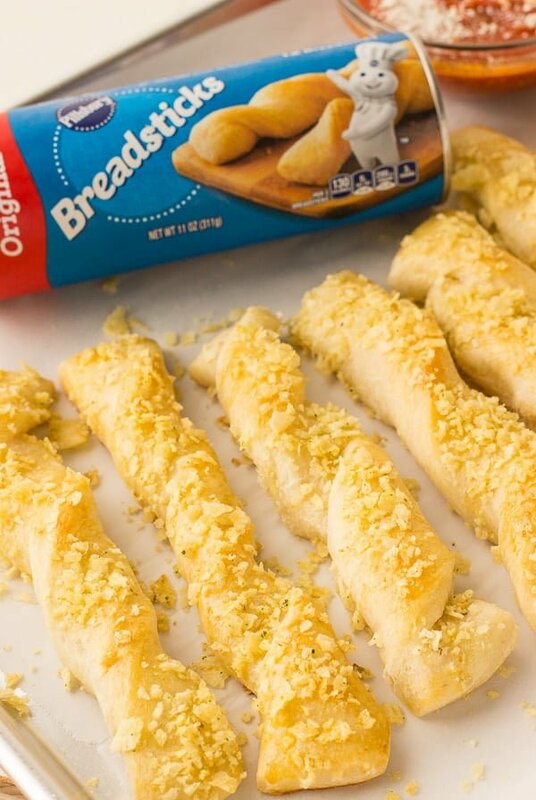 These Easy Garlic Breadsticks are so delicious, there’s no way that you can eat just one! If you are looking for a super easy dinner side these easy garlic breadsticks are the perfect fit. 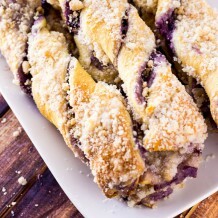 Not only are they crazy simple, they are seriously super delicious. In my mind, garlic breadsticks are one of those comfort foods that can be a compliment to a meal, or easily stand on their own. And the best part of these super simple garlic breadsticks? They are literally made up of 4 ingredients. Seriously, only 4! Think about the last time that you tasted warm, straight from the oven garlic breadsticks…more than likely, it’s been a while, right? Trust me when I say that tasting those fresh garlic breadsticks straight out of the oven is a total game changer. The dough is soft, the garlic is spot on and before you realize it, that first bite is done and over and so is the entire breadstick! When I say you can’t eat just one…I mean it! 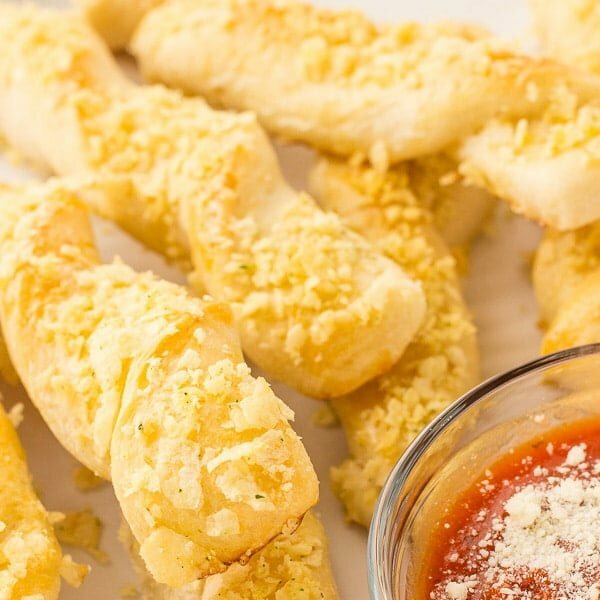 Give this super simple and easy garlic breadstick recipe a try! You’ll be so happy that you did, and it will be your new “secret” go-to recipe to not only spruce up any dinner but also “wow” your friends as well! REFRIGERATED BREADSTICK DOUGH: Yup, that’s why these garlic breadsticks are so simple and easy to make because they start out by using refrigerated breadstick dough, I used Pillsbury breadstick dough. 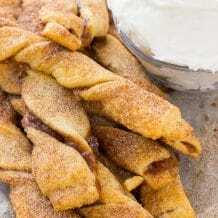 SOUR CREAM & ONION POTATO CHIPS: The chips are the secret to making these breadsticks AMAZING! 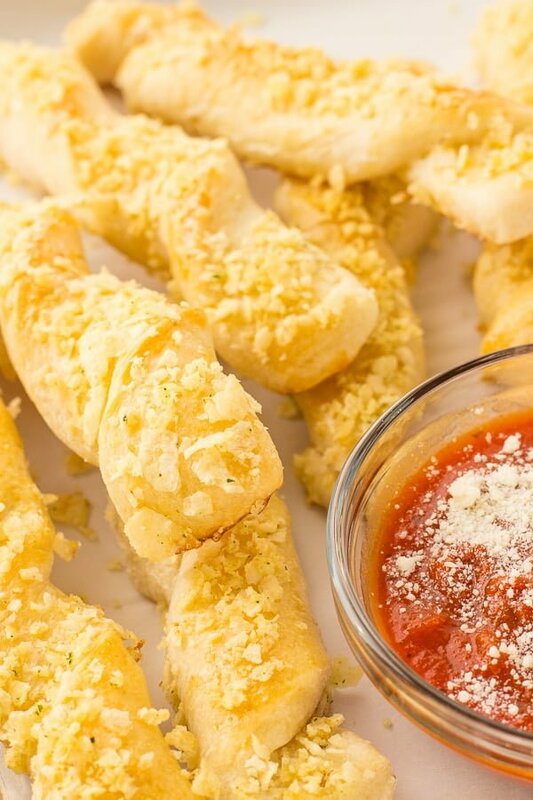 Not only does it add so much flavor but the additional crunch topping takes these breadsticks to a whole different level. 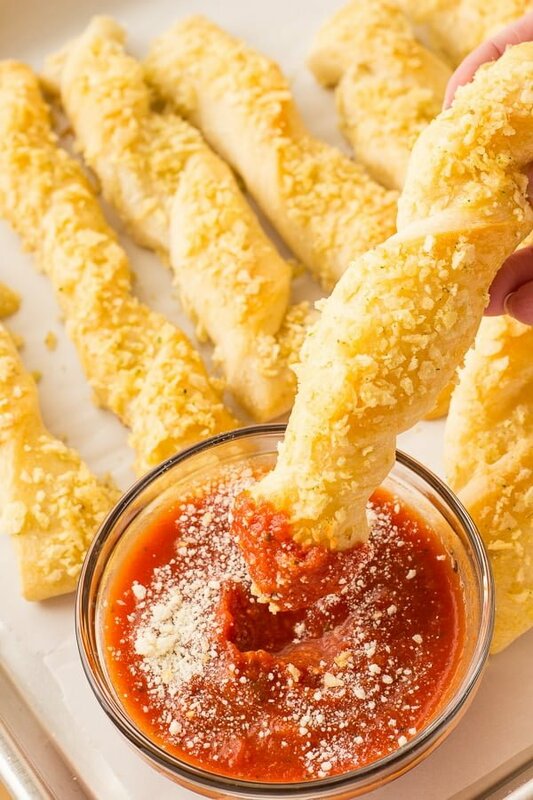 Trust me you will never want to eat plain breadsticks again. ADD EXTRA GARLIC: If you love garlic, I like to sprinkle additional garlic salt on top of each breadstick before baking them. PRE-STEP: Pre-heat oven to 350F degrees. 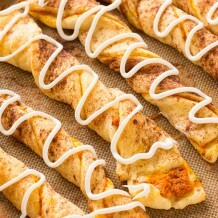 Line 2 baking sheets with aluminum foil or silicon baking mat. STEP 1: Unroll dough; separate into 12 sticks. STEP 2: Twist each breadstick three times and place 1 inch apart on the baking sheets. STEP 3: Brush each breadstick with egg; sprinkle with crushed potato chips and garlic salt. STEP 4: Bake for 16-18 minutes or until golden brown. Serve warm with marinara sauce sauce.